Home › Uncategorized › Paladin Solar Controller – ‘smart’ energy w’o storage. 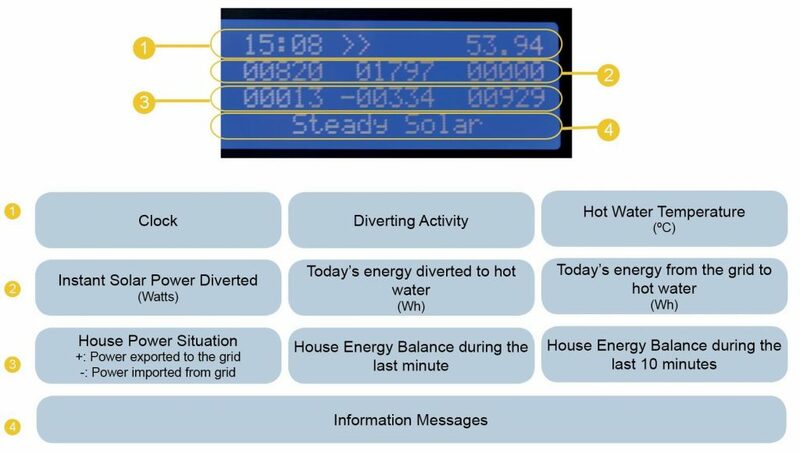 Paladin Solar Controller – ‘smart’ energy w’o storage. Although energy storage devices like the Tesla Powerwall 2 and its ever-growing list of competitors have come down a lot in price over the past few years, it’s still untenable for many. Enter the Paladin Solar Australia ‘smart’ Solar energy diverting device aka the Paladin Solar Controller (yeah, it’s a bit of a mouthful). The Paladin works without a battery by diverting excess power to hot water systems and other heaters before sending it back to the grid (saving you money). The Paladin monitors your system 3,600 times a second to ensure you waste as little energy as possible – with all surplus going towards hot water until your water is at max temperature. At that point it exports excess solar to the grid. As people not on one of the generous grandfathered tariffs don’t generally receive a lot of money when exporting to the grid, this is a smart way of making the most of the power you’ve generated. According to the Paladin Solar Australia Facebook page, extensive trials have shown that solar PV systems with a Paladin Solar Controller installed only export 8% of their excess solar to the grid – which means that 92% is self consumed. With approximately 1/3 of the average power bill made up from water heating, this can represent a significant saving, especially given that hot water is often used in times when the sun isn’t overly bright (i.e. morning, night). According to the PSC website, the base model can also control underfloor heating, spa pool heaters, and storage heaters. They have plans for future releases to include an ‘AC Battery’ which is currently being tested, and electric vehicle charging (which is also being tested). Shouldn’t be long before we see some more low-touch, low-cost innovations for those that want to get a little more out of their solar panels but don’t see the value in converting to energy storage. This product fits a gap in the market very nicely and we hope it continues to innovate at its current price point. 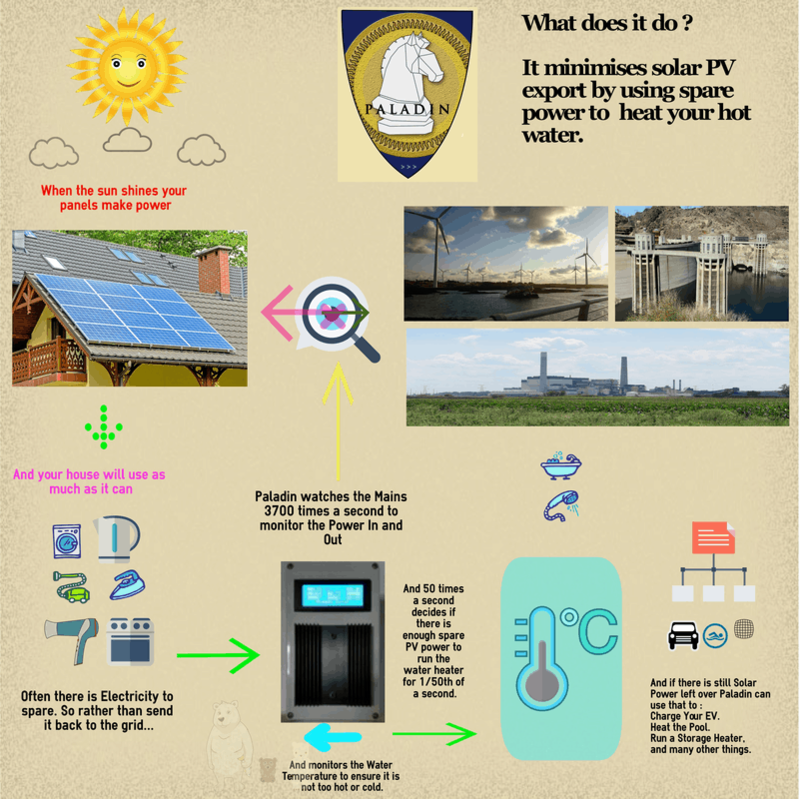 Follow Paladin Solar Australia Pty Ltd on Facebook by clicking here. September 2017 Update: Ken Smith from the Paladin team have just uploaded a very detailed video about reading Paladin Desk Top and introducing the AI / Autopilot mode. Alternatively you can view the live Paladin data from their website by clicking here. ← Wandoan solar farm will add 1,000MW to QLD solar. Seriously good product that unlike some of its competitors -works!